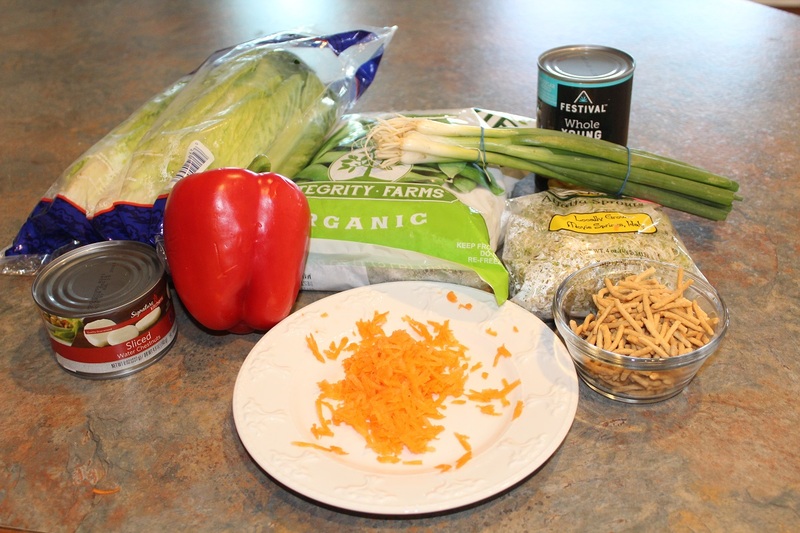 Now that it’s Spring, I found myself craving something light, fresh and well….basically Chinese. Of course the nearest Chinese restaurant is 70 miles away, so I did my best to come up with a recipe that met all three of my requirements. This is one spectacular salad that is full of deliciousness! I had to play around quite a bit with the salad dressing but Sparky loved it and gave the whole salad 2 thumbs up! Here’s what we will need for the Asian Salad Dressing. Plus, I used Honey, but of course I forgot to put it in the photo. Here’s what I put in the salad. It tasted so wonderful! Light, fresh and full of crunchy goodness, this salad is a winner! 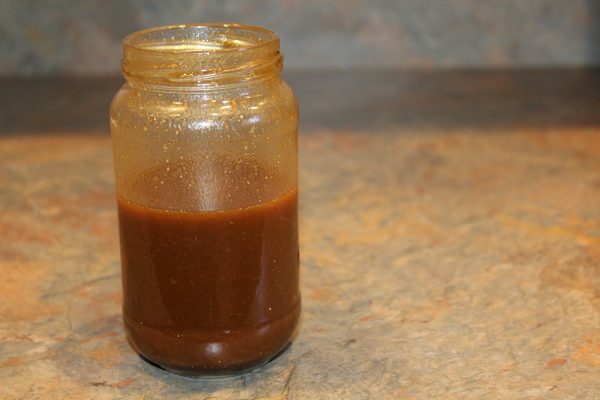 2 Tbsp Honey warm it before adding to the dressing so it will blend. Place all the ingredients in a jar with a lid and shake it up until well blended. Set aside. 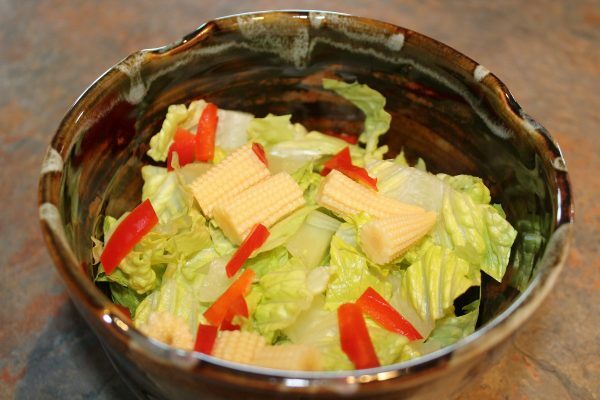 In each of 4 large bowls, layer the chopped Lettuce, followed by the Baby Corn and the julienned Red Pepper. 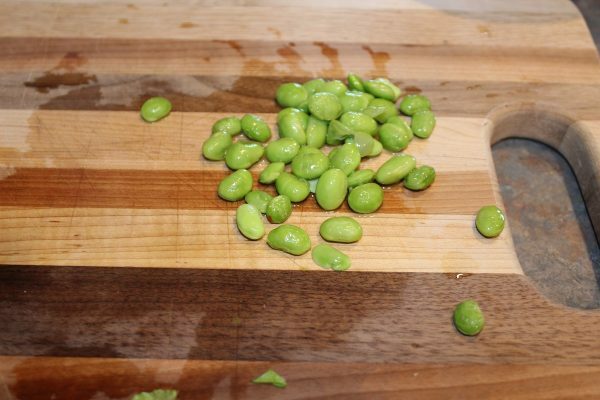 Cook the Edamame per package directions, cool, shell and discard the pods. 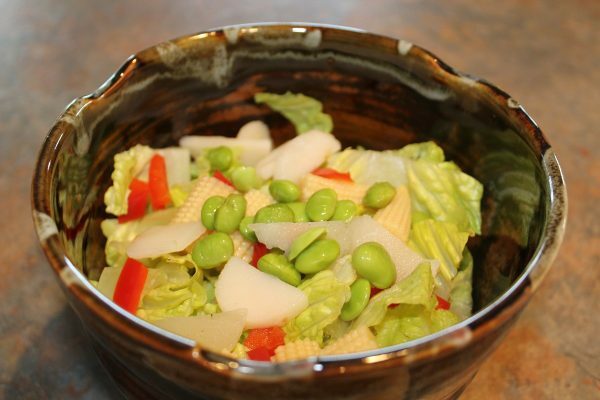 Layer the Edamame and the Water Chestnuts over the salad. 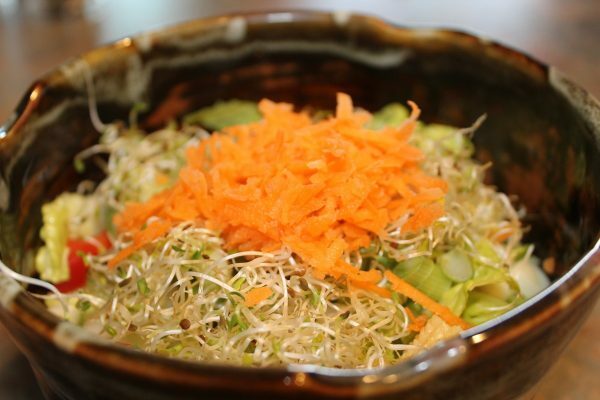 Layer the sliced Green Onion, the Alfalfa Sprouts and top with a small mound of shredded Carrot. 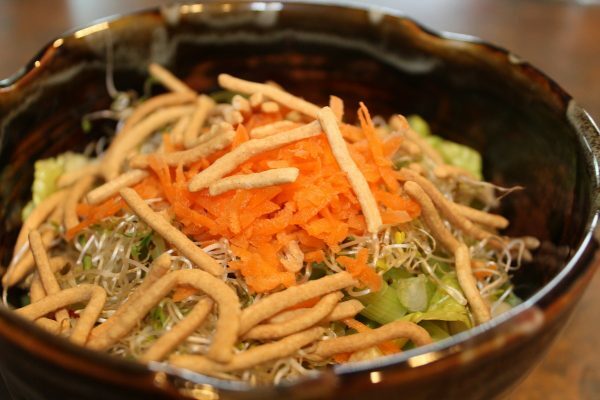 Sprinkle the Chow Mein Noodles evenly over the tops of the salads. 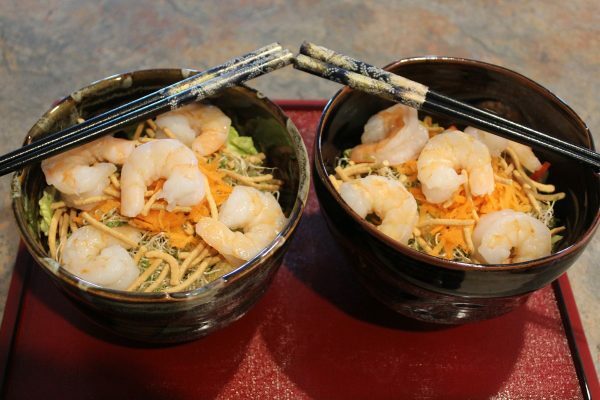 Top each salad with 5 large Shrimp. 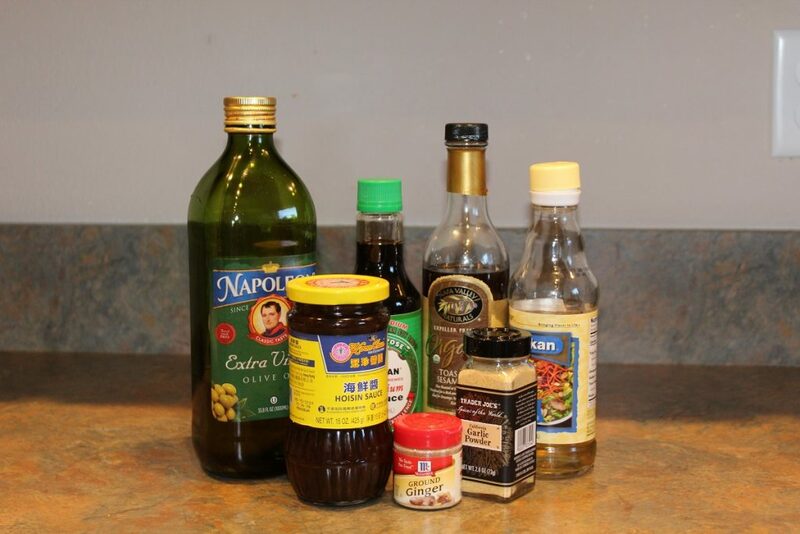 Let each person add the salad dressing to their liking. That's it friends! This was such a fabulous treat that I will be making over and over again. 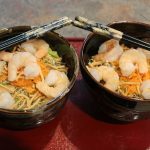 We love Shrimp but I think using cooked diced Chicken would also be delicious. Please visit my website: www.thejourneygirl and leave me a comment. I love hearing from you!